The idea is good in theory, but carries risk as well. Two weeks ago, Overwatch League commissioner Nate Nanzer announced what all OWL fans were waiting for: home-and-away seasons. Speaking at SXSW 2019, Nanzer said that, from the 2020 season onwards, all 20 Overwatch League teams will play their games at home stadiums in their respective cities. The league expanded in 2019 from the original 12 teams to 20, including three new Chinese franchises and another European franchise in the mix. It also introduced homestand weekends where teams will travel to other cities in the U.S. to play certain weeks. Swapping to a complete home-and-away schedule just 12 months later is a monumental step, and quite possibly a logistical nightmare in the making. Sure, a full home-and-away schedule allows the fans to get closer to the players. The presence of the league would also be more widely felt—the players would no longer be stuck in Los Angeles, so far from their bases in other parts of the U.S. or the world. Being able to interact with your favorite players on your home team with a home game atmosphere is something most traditional sports fans love and something esports has been trying to replicate for some time. It is a phenomenal idea. But it’s probably a decision that’s being made a few seasons too soon—and with too few teams in the league—and it could even lead to the downfall of the Overwatch League. If the Overwatch League wants to be truly global, it needs to scrap the Pacific and Atlantic divisions. The terms themselves are U.S.-centric, and to an international audience, they make little sense. Regionalizing the divisions into North America, Asia, and Europe would make it a lot easier on players, as well as clearing up who plays who in the league more often. In the Pacific Division, the longest trip is from Chengdu to Dallas, which is over an 18 hour flight. In the Atlantic Division, the longest trip is from Houston to Paris, which takes over 10 hours. Doing these flights week in and week out would take a toll on the teams based outside of America. And since there will be more intra-division play, these trips will become the norm, but nevertheless tiring. Very hot take as a huge OWL fan but also as a former OWL team’s events manager: The concept is good, the logistics (after major layoffs in the Blizz esports and events department) are absolutely terrifying. Not sure if every OWL team is prepared for such a task. A solution is for the franchises to have NA stadiums, but that defeats the purpose of a truly international league. If the league wants to tap into its international fan base more, it] needs to have its home teams play at home. Another solution is taking the homestand weekends overseas. The three homestand weekends for 2019 are all within the U.S.—one of which is just in a different part of Los Angeles—leaving international fans wanting more. Having a homestand weekend overseas to reduce the overall load of teams travelling between continents while still giving international fans a chance to interact with their idols could be a happy middle ground. Alternatively, you can take the stage playoffs overseas too. With the four stages, you could rotate one stage playoffs to Asia and another to Europe, before having the finals in the U.S. and Canada. This gives every region involved in the Overwatch League currently a chance to meet the game’s best without having to travel all the way to Los Angeles every time. Not enough development outside of the U.S. 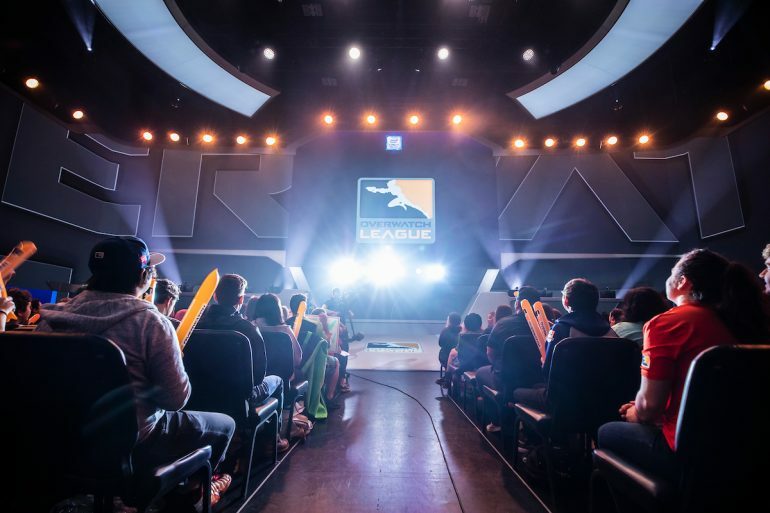 The Overwatch League is a U.S.-dominated competition in terms of franchises. Eleven of the league’s 20 franchises are based in the U.S., with the other nine spread around Canada (two), Asia (five), and Europe (two). Angry Titans have been one of Europe’s best teams in the OWL era of Overwatch, with two second-place finishes in Contenders Europe and a perfect season under their belt. The American coach didn’t really understand the need for more international representation in OWL, but after being with the team for a few months, he sees players fading away from the game because they don’t see a way to climb at home. At previous group stages for the Overwatch World Cup, some of the most passionate fans have come from these regions. Sydney 2017, Paris 2018, and Bangkok 2018 had some of the best atmospheres in esports with the halls buzzing with love for the game. Just look at how much making Blizzcon meant to the Australian fans at Bangkok 2018—they won’t have a team representing them in the Overwatch League until 2021 at earliest. While travelling for a home-and-away schedule makes sense for teams in the U.S., it’s a lot more difficult for teams in other regions. While it probably won’t be as strict as flying back-and-forth every week over the Pacific or Atlantic, interregional play is hard to do when you only have two teams in a region. Adding another three teams into Asia to bump it up to eight allows the Overwatch League to further tap into one of its most popular markets while lessening the stress on players. Give Korea another team, give some of the most passionate regions in Southeast Asia, like Thailand a squad, or even go down under with Australia. A Sydney-to-Seoul trip is a lot less strenuous than flying over the dateline every fortnight. For Europe, throw in another four teams to make it six to start with. Germany, Sweden, Russia—the possibilities are endless. “Bringing more Overwatch to Europe would mean a lot to everyone who’s still grinding there, despite feeling forgotten at times, and it might even be a chance for old fans to re-engage with Overwatch,” Sims said. Then if you add another team in an American timezone, that makes a 30-team league with a lot more possibility for intra-regional play without adding stress on the players. While the majority of Overwatch fans don’t really watch Contenders, for players on the path to pro, knowing there aren’t any expansions planned for season three hurts a lot of the minor regions. 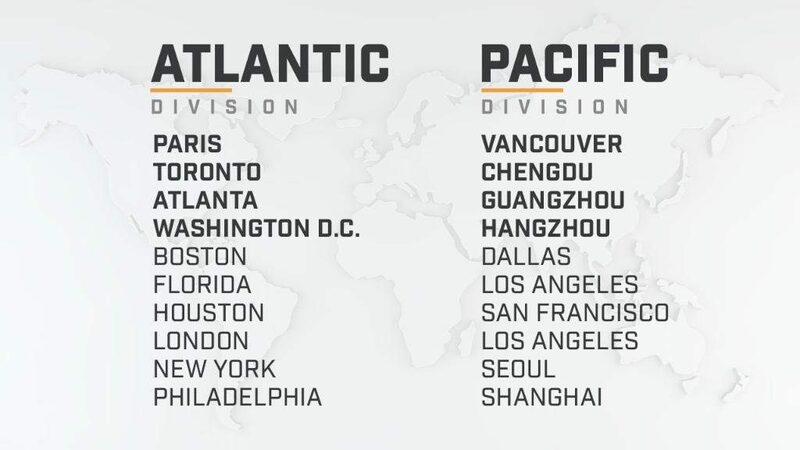 Sixteen Overwatch League teams have academy teams in the Overwatch Contenders regions around the world. But there’s no Overwatch League representation in Contenders Australia, Pacific, and South America. 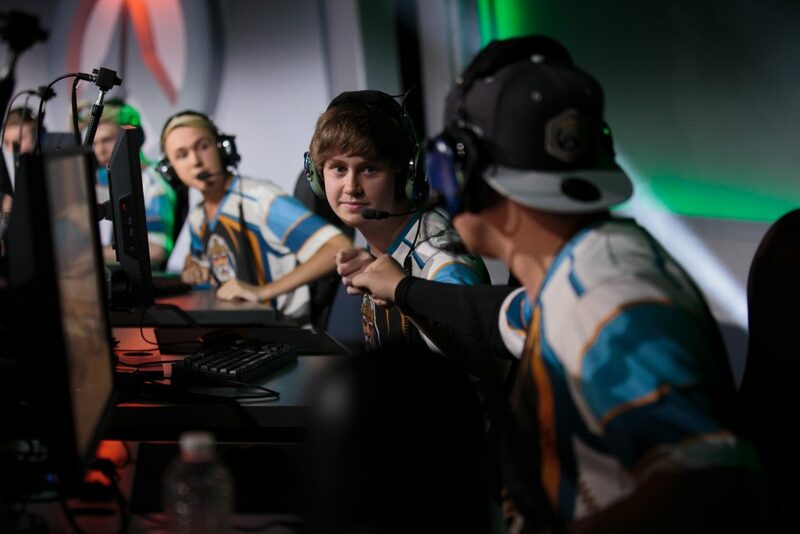 While some of Overwatch’s top players, like Kelsey “Colourhex” Birse (Sydney Drop Bears) and Renan “alemao” Moretto (Brasil Gaming House), have come from these regions, for other players, it seems like making it anywhere near the Overwatch League is a long shot. The only thing that’s achievable for them is just another top-four finish, possibly making it into the Showdowns and the Gauntlet—but nothing more. “While making Contenders can be possible if you play often, that is all that seems to be possible,” said Mindfreak coach Joel McElroy. Mindfreak competes in Contenders Australia, but the organization is more well-known for its Call of Duty team. “Making it there in itself is a stringent grind, but, at least in Australia, half of the Contenders players barely touch the game anymore because there’s nothing for them to achieve once they make Contenders,” McElroy said. There aren’t any academy teams established outside of the home region of a franchise, and the trend looks likely to stay that way. Some independent teams have tried to align themselves to a city, like the Sydney Drop Bears, Melbourne Mavericks, or GC Busan Wave—but it’s not the same as having an Overwatch League franchise. “Having an Australian Overwatch League team would open a great opportunity for a lot of players to feel connected to the Overwatch League and their home with an academy on top,” McElroy said. If there was an Overwatch League franchise based in each of the three regions, like Thailand, Australia, and Brazil, it would make those Contenders regions a lot more competitive, as well as making it seem like there’s a true path to pro for Overwatch’s rising stars in all regions. Finally, if we’re ever going to have a truly international league, we would have to overcome visa issues. Season two has seen prolonged visa issues with some players, like Chengdu’s Zhang “YangXiaoLong” Zhihao, being stuck in China while his team battles it out in Los Angeles. Even caster Josh “Sideshow’ Wilkinson was stuck in “visa hell,” while some pros only got their visas days before the season’s start. 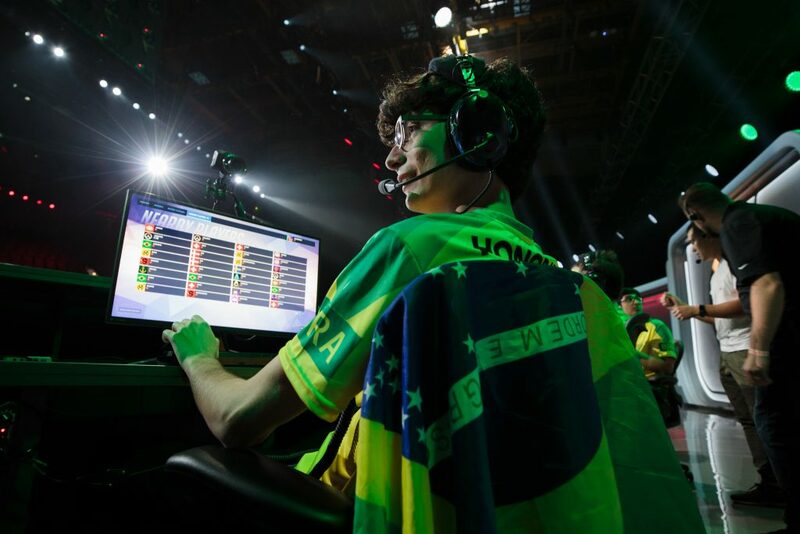 Getting visas into countries like China to play games will be an issue for some players like Israeli Josh “Eqo” Corona or even Brazilian Renan “alemao” Moretto. With esports still not considered a sport in a lot of regions, it’s a lot harder for players to obtain a visa compared to an athlete in traditional sports. While some countries do have limited periods of time in which you can enter the country for any reason, players might use these up over the course of a season, leaving teams struggling toward the tail end. Regionalization of play might help alleviate this issue. In Europe, it’s a lot easier to travel from country-to-country within the European Union. In Asia, it’s easier to get a visa for other ASEAN countries over the U.S.. However, this issue transcends the regionalization of play—for as long as esports isn’t considered a sport by foreign affairs departments around the world, visa issues will continue to hinder players. The international home-and-away schedule of the Overwatch League is a huge step for esports, much like how the introduction of a franchised league was. We don’t have the full details of how the schedule will work, but one can only hope all of these aspects have been thought through.